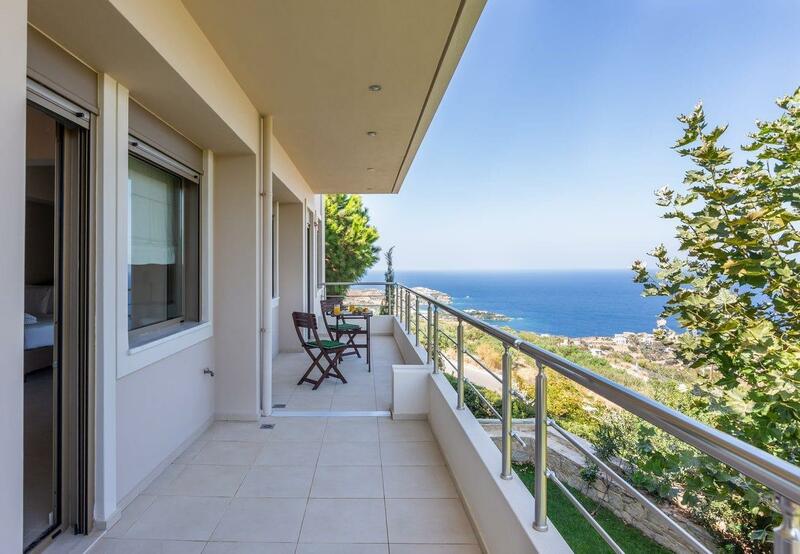 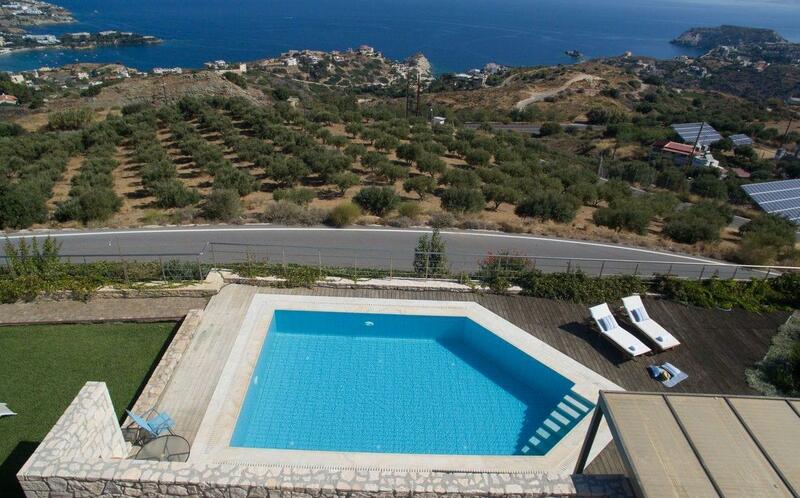 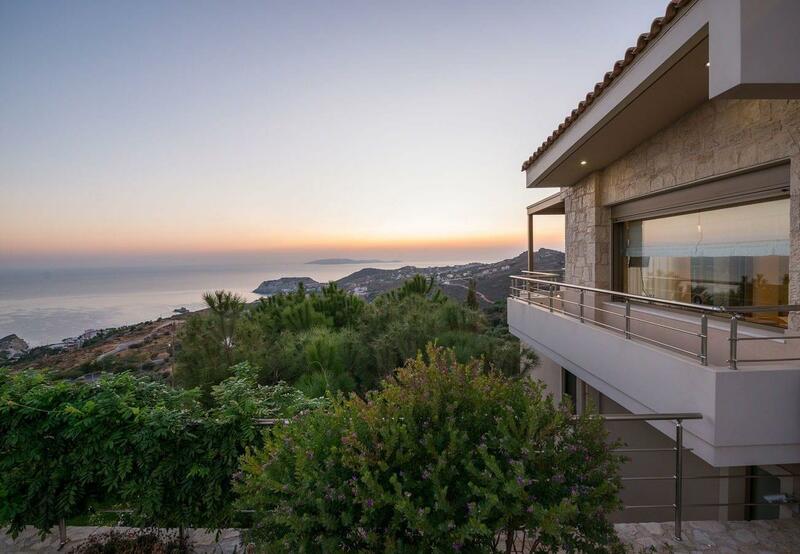 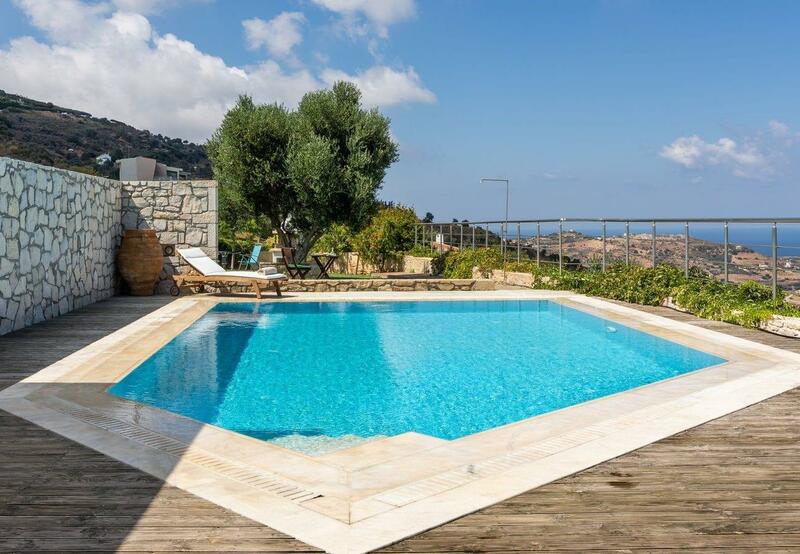 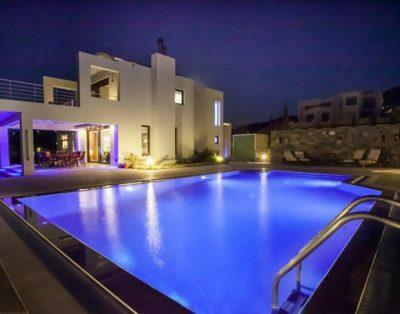 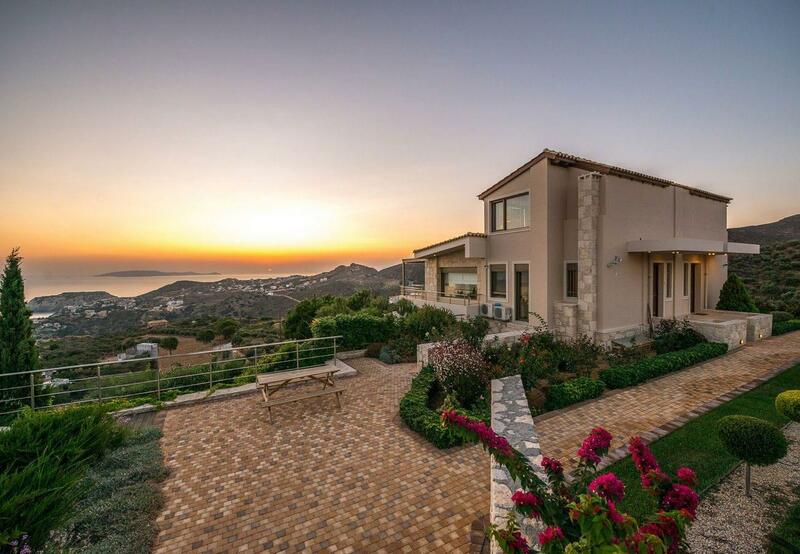 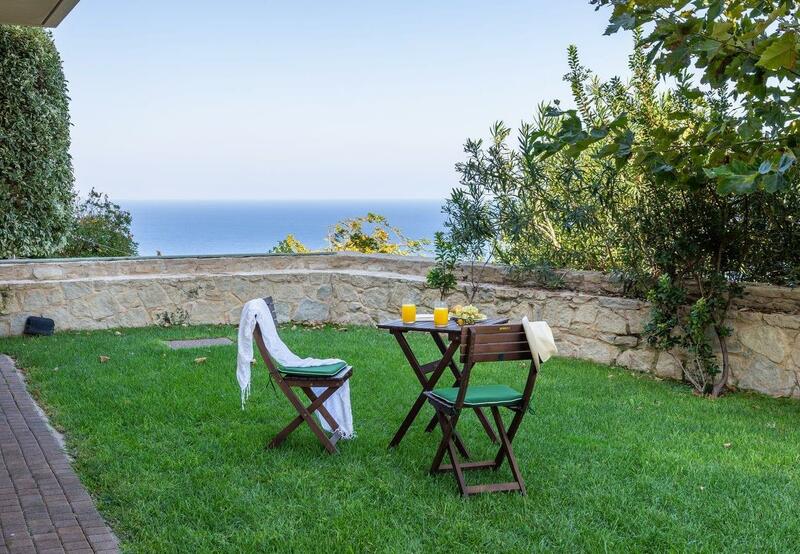 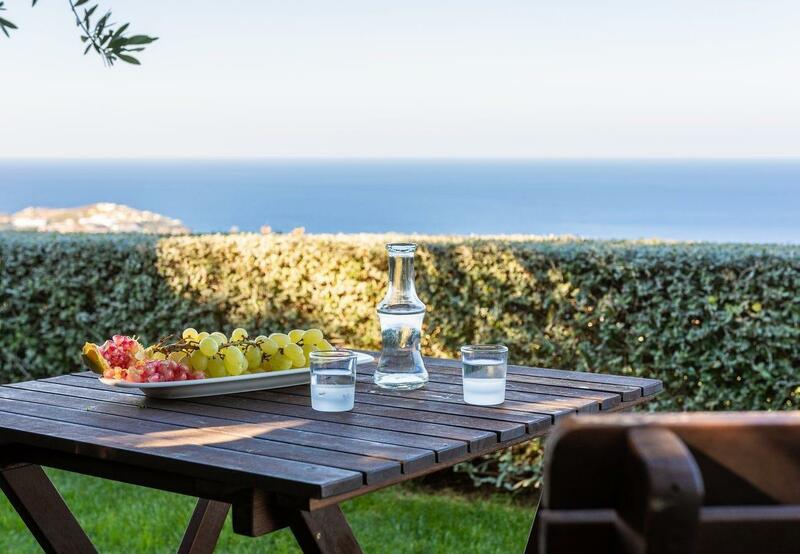 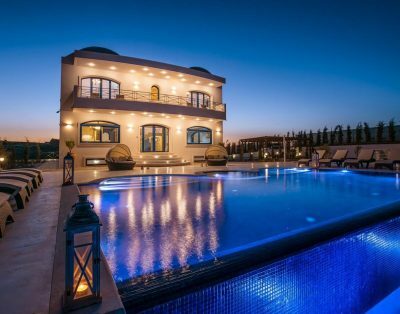 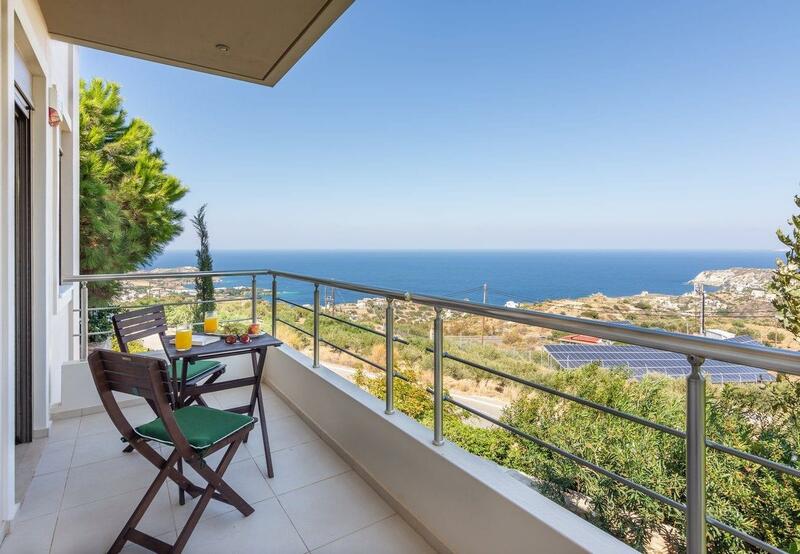 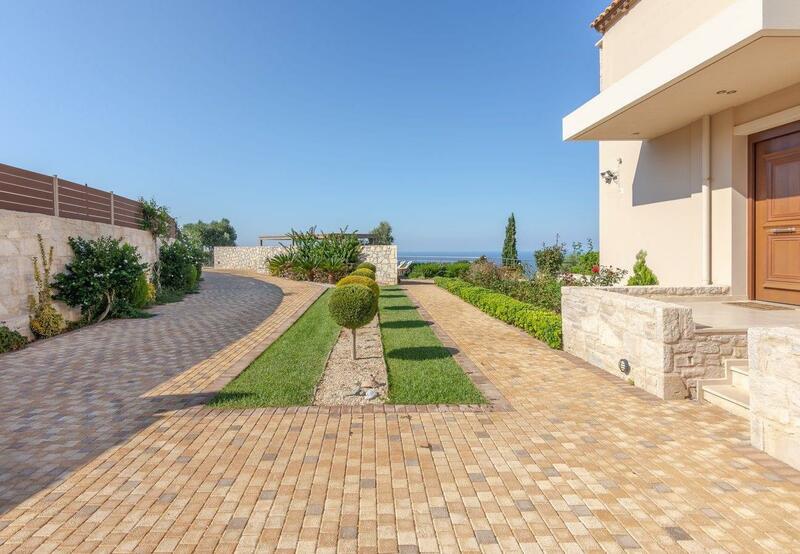 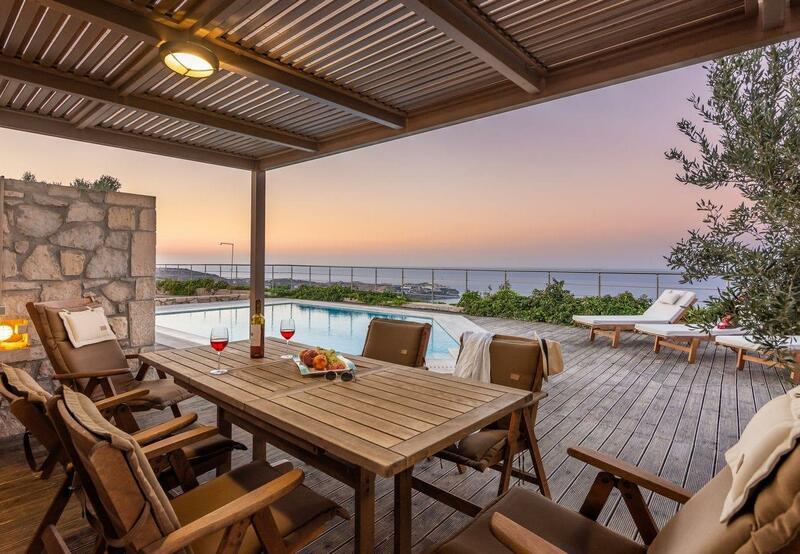 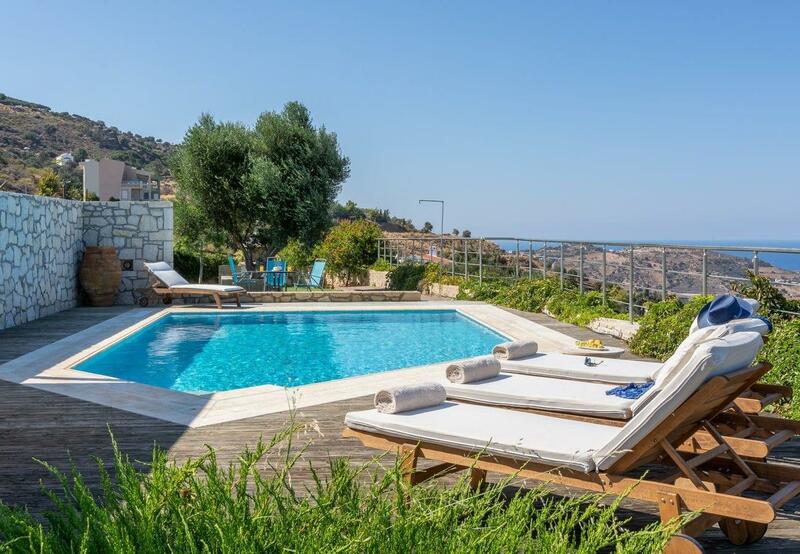 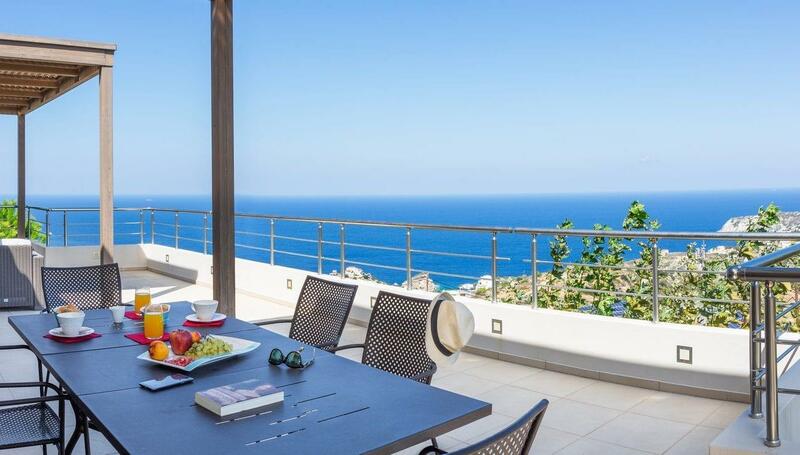 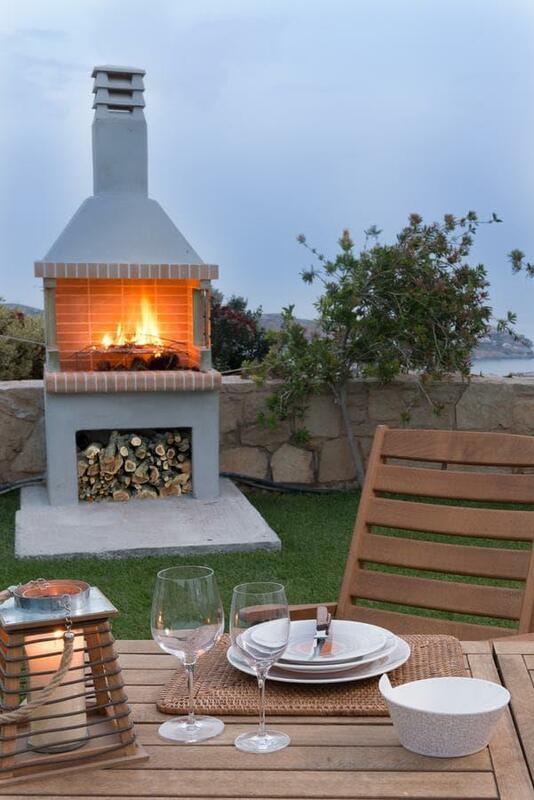 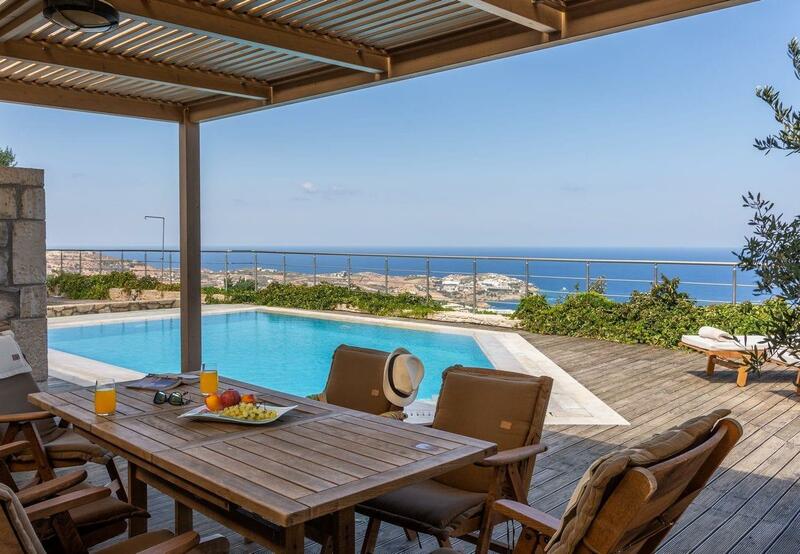 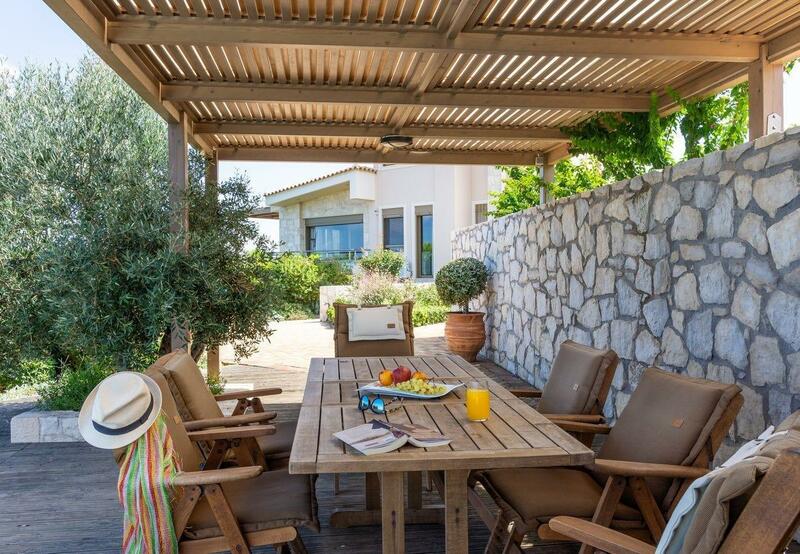 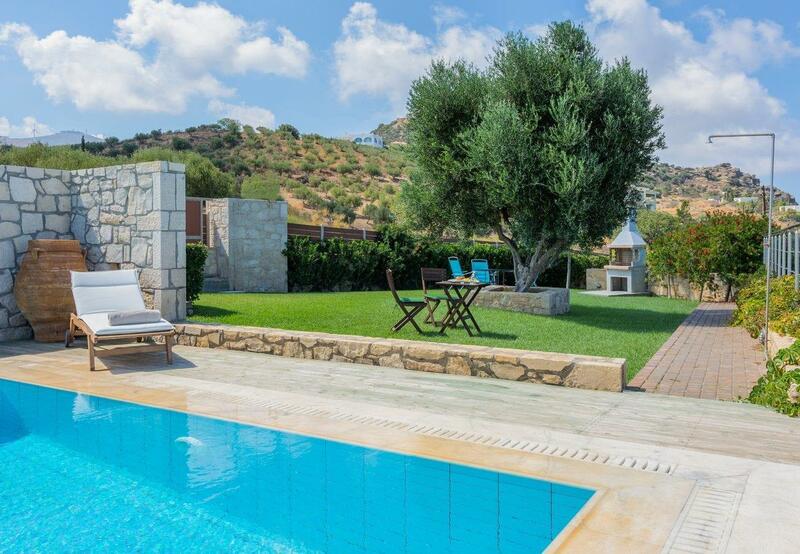 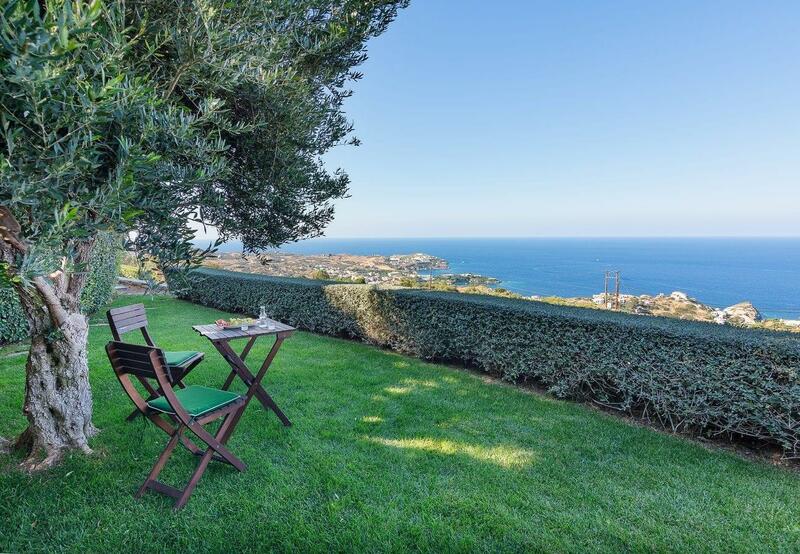 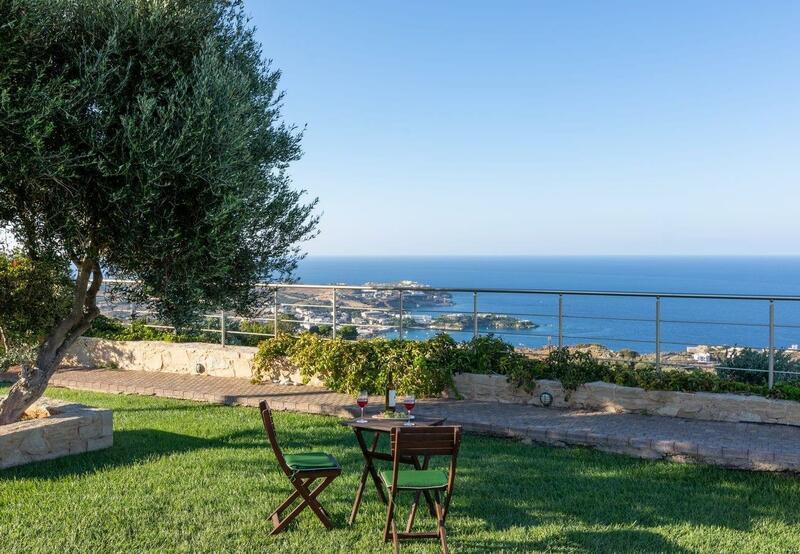 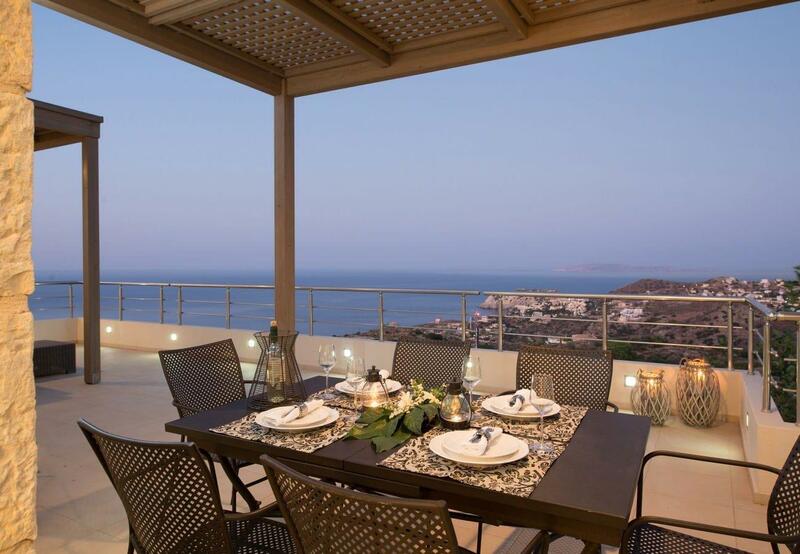 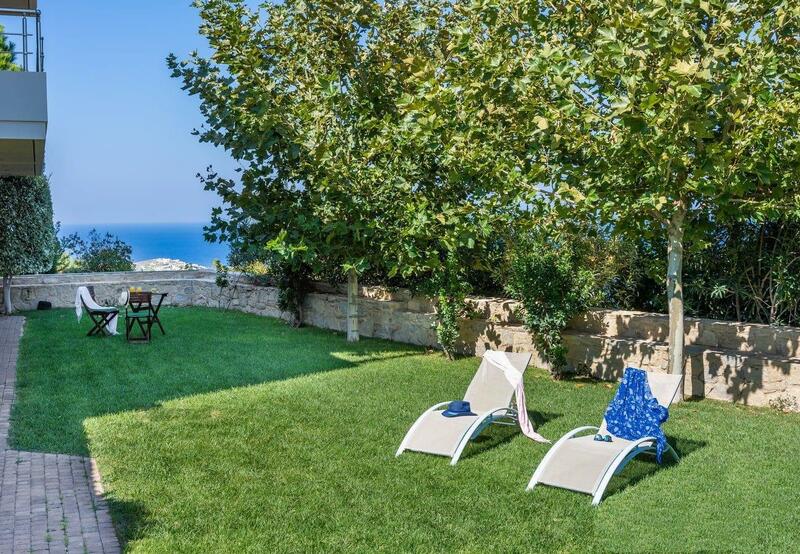 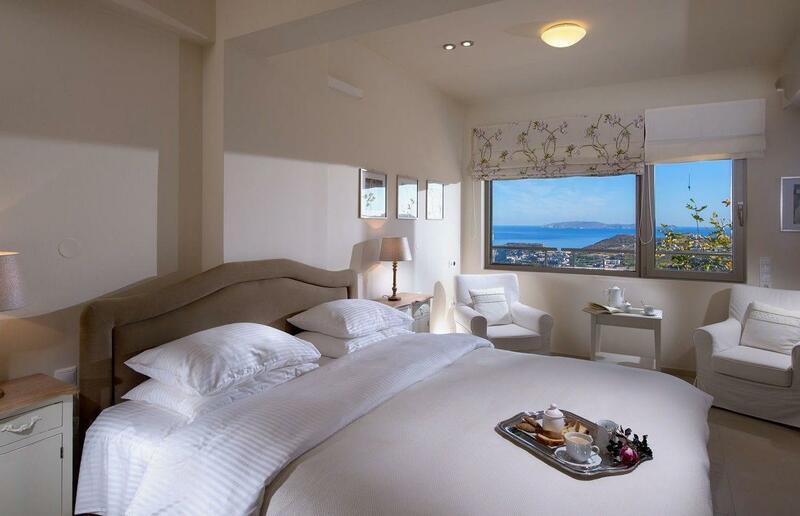 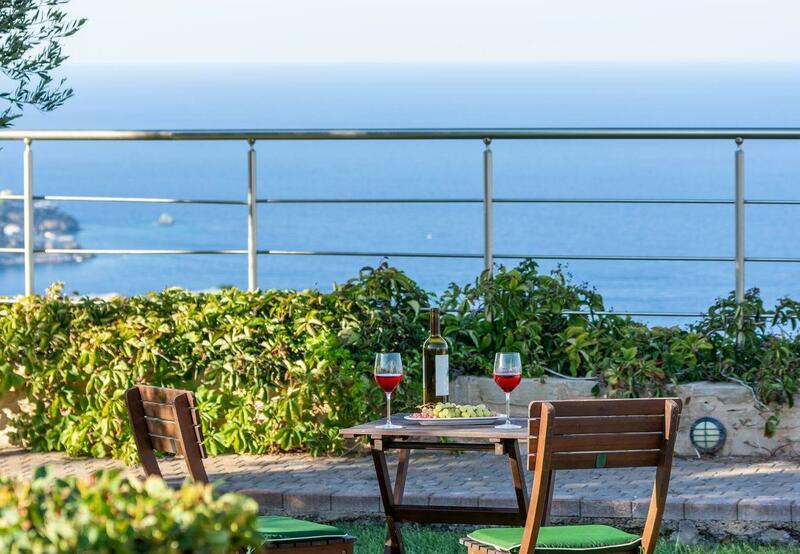 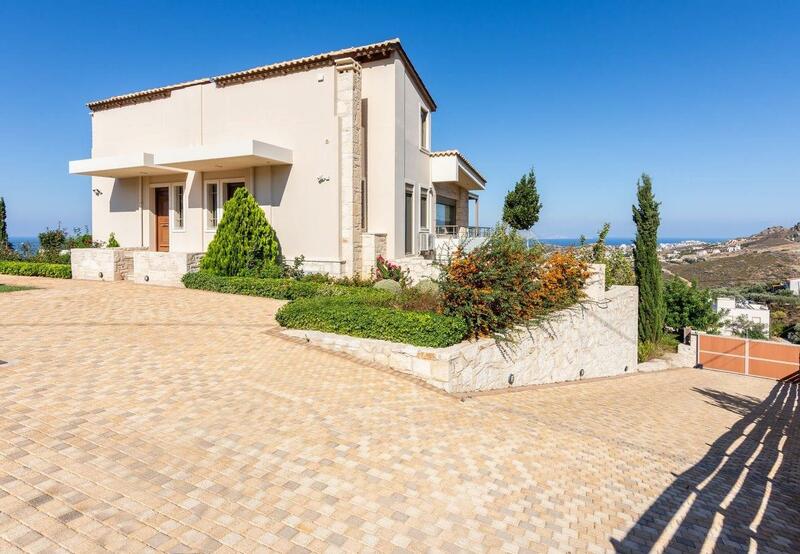 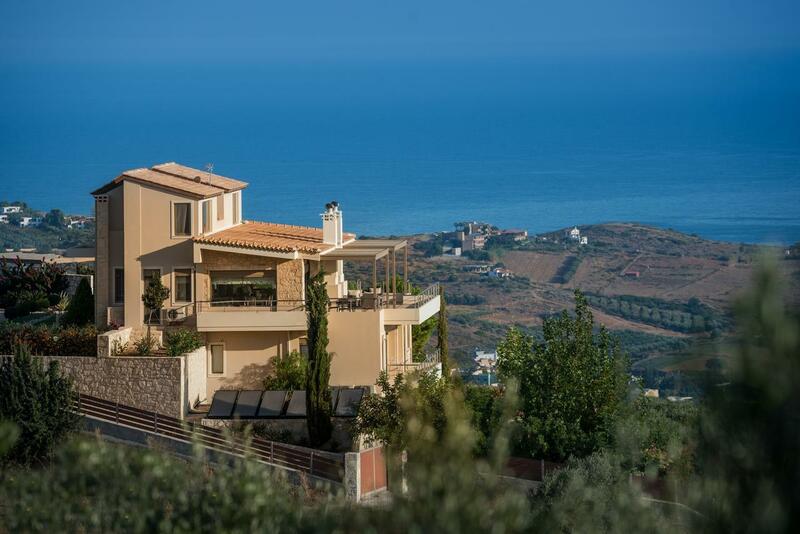 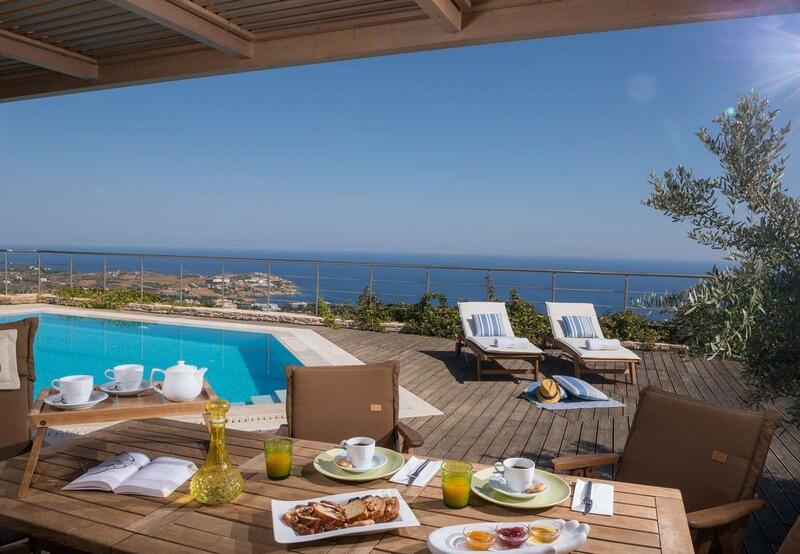 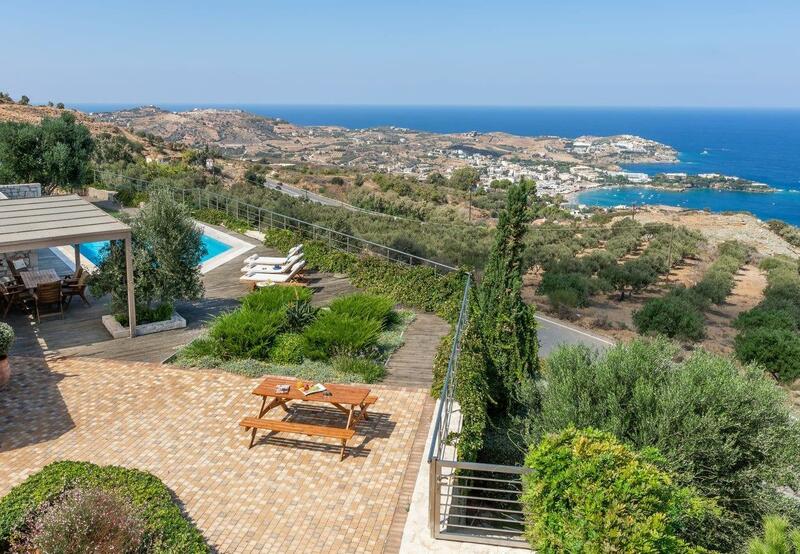 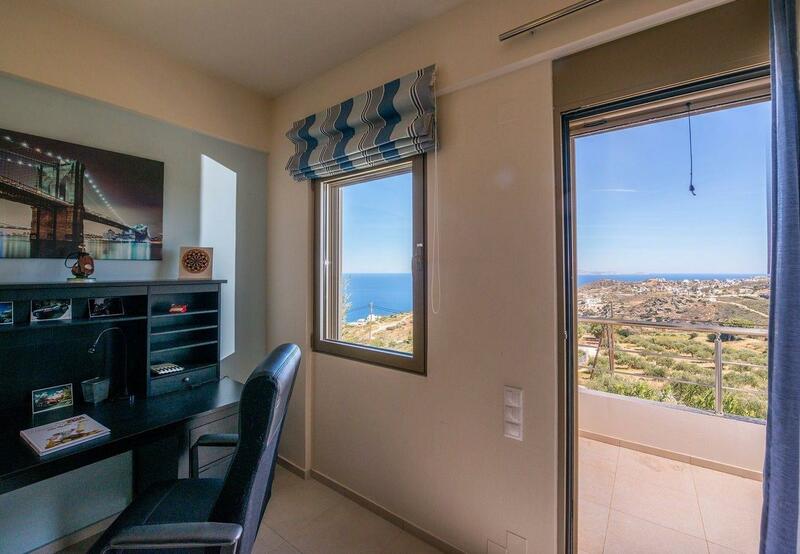 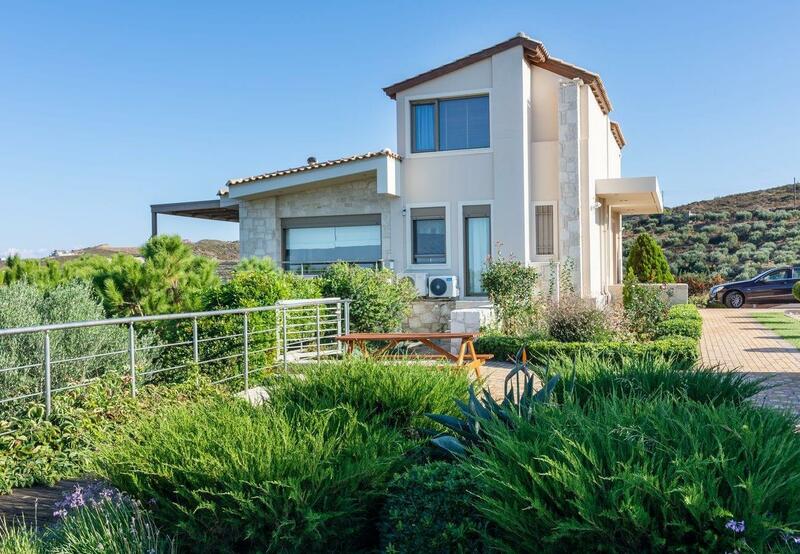 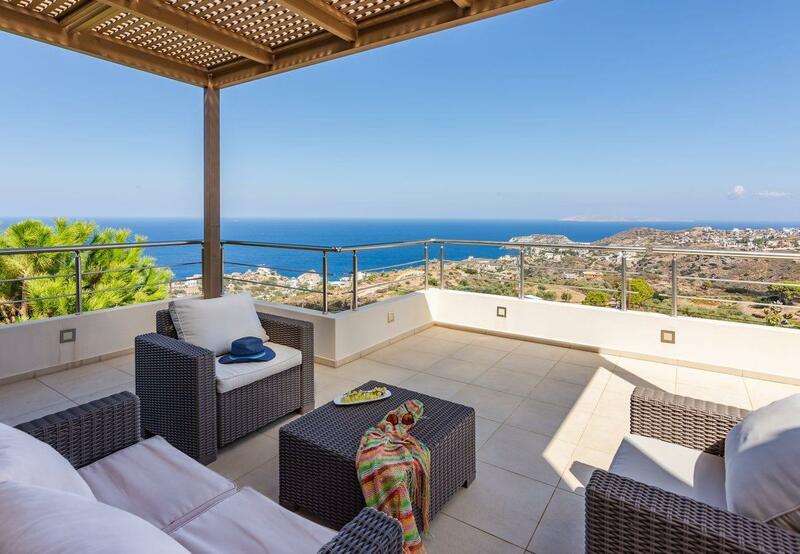 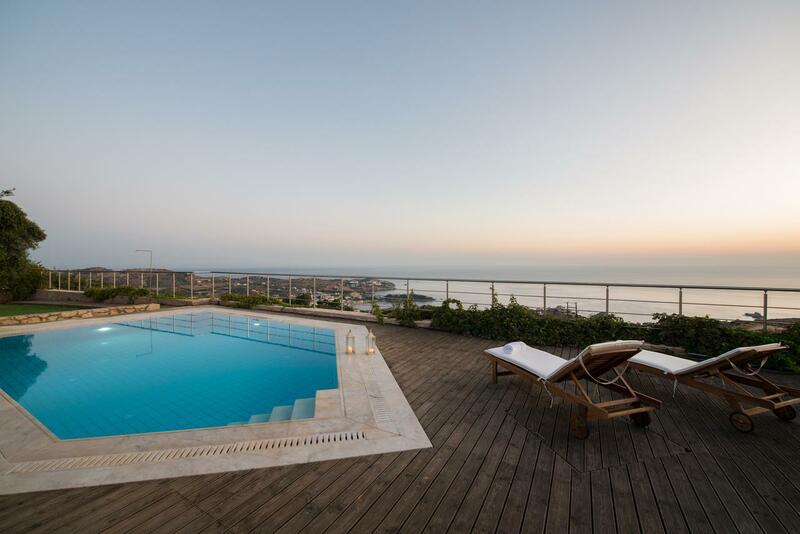 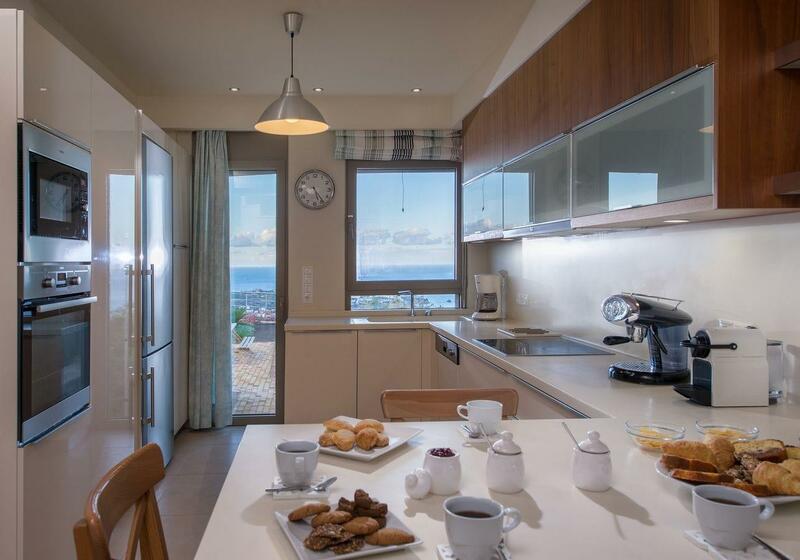 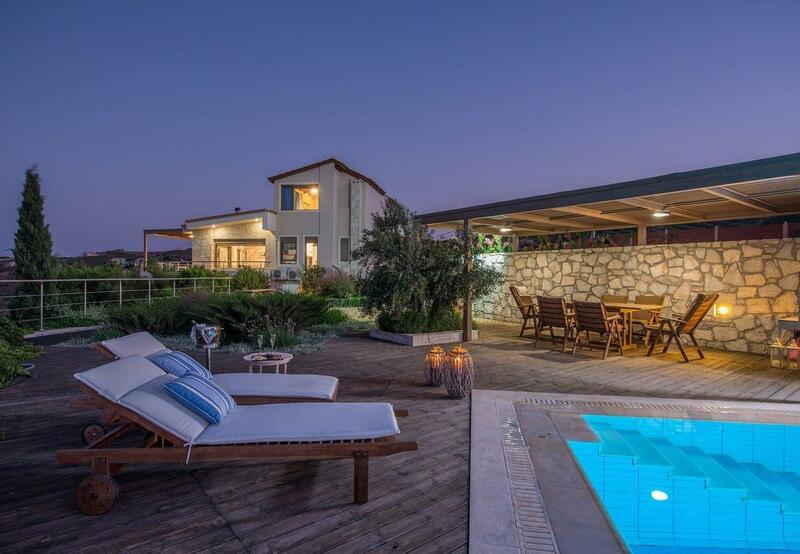 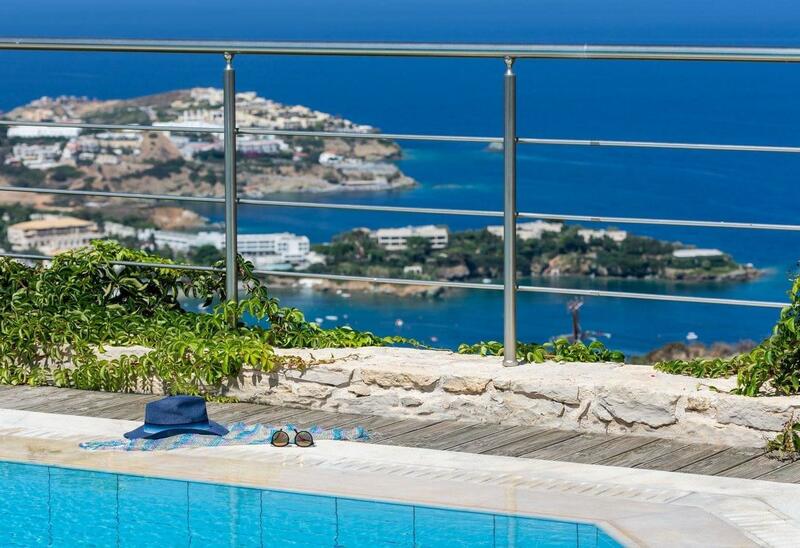 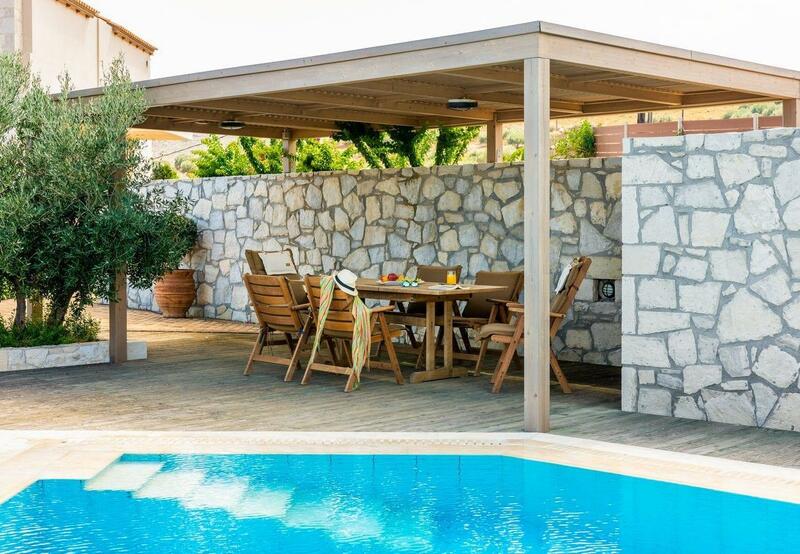 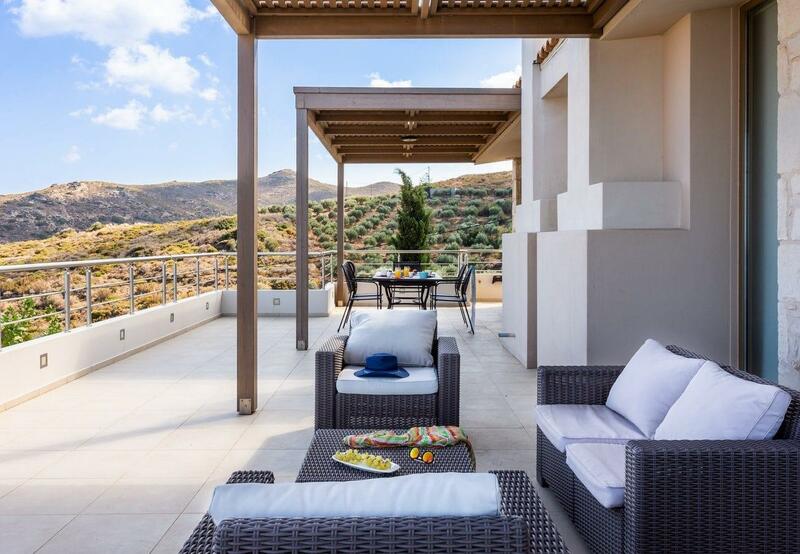 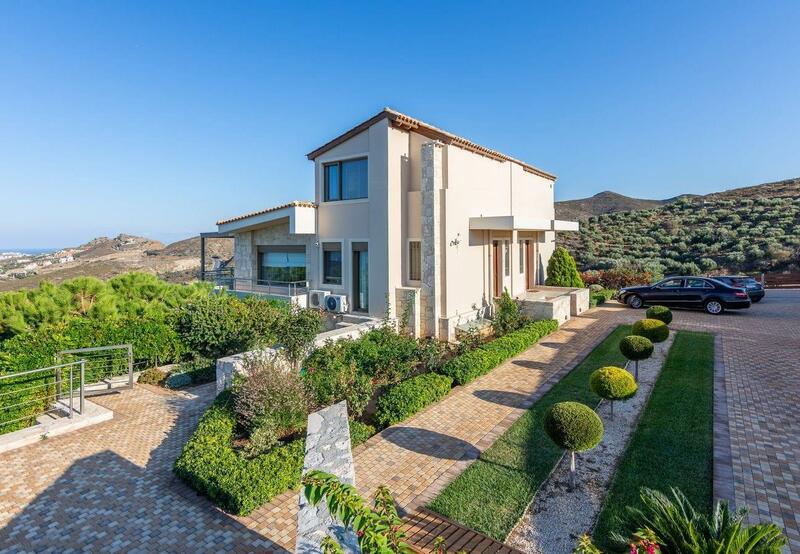 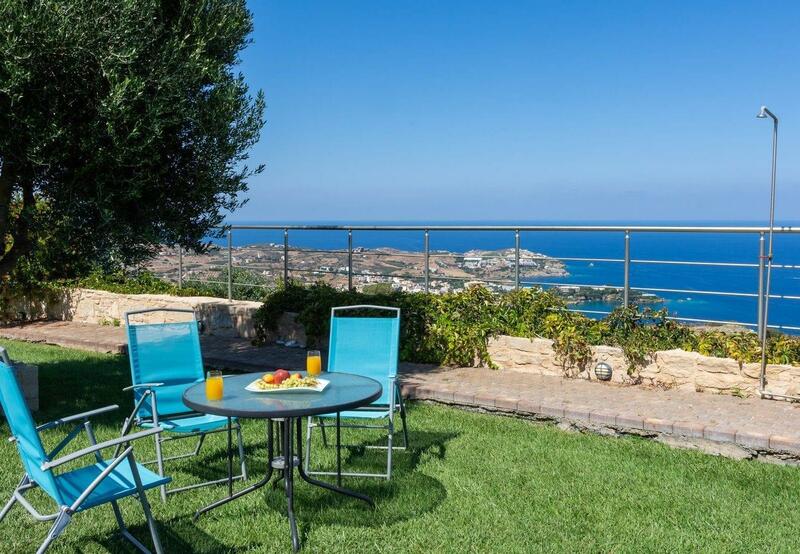 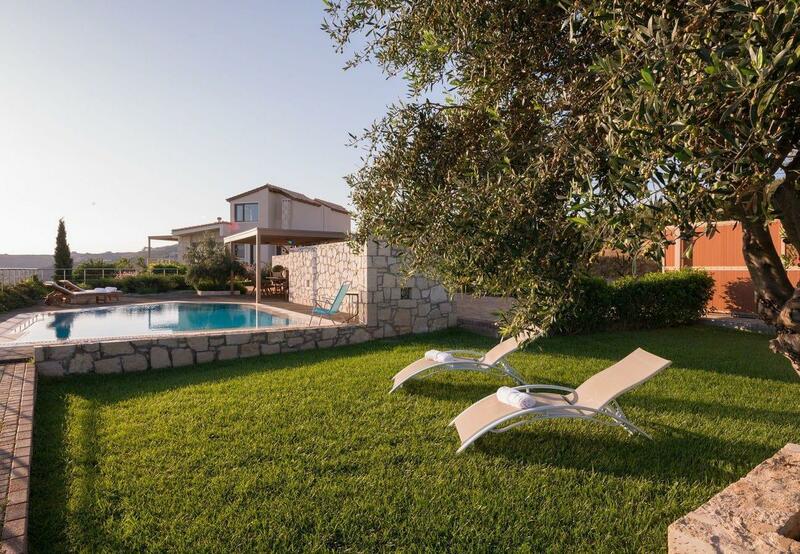 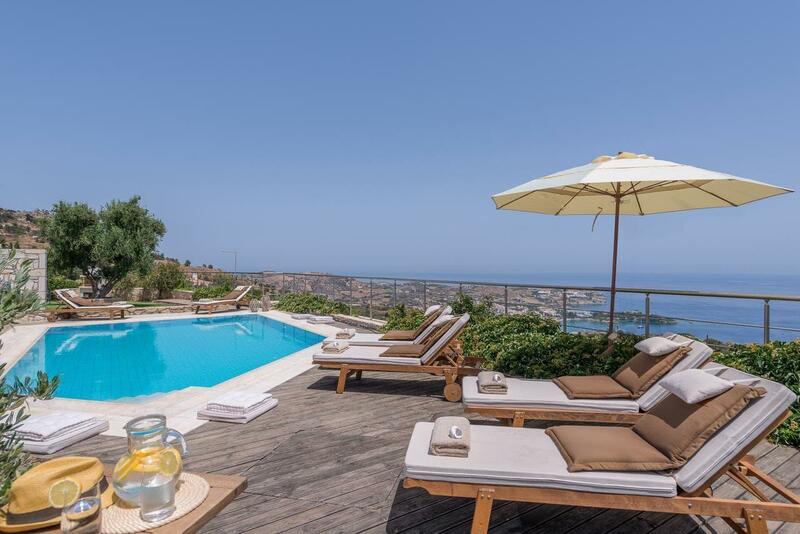 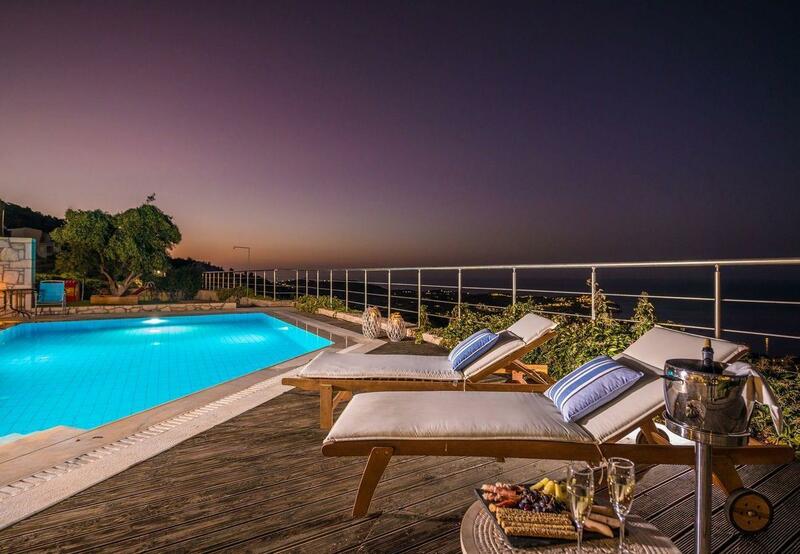 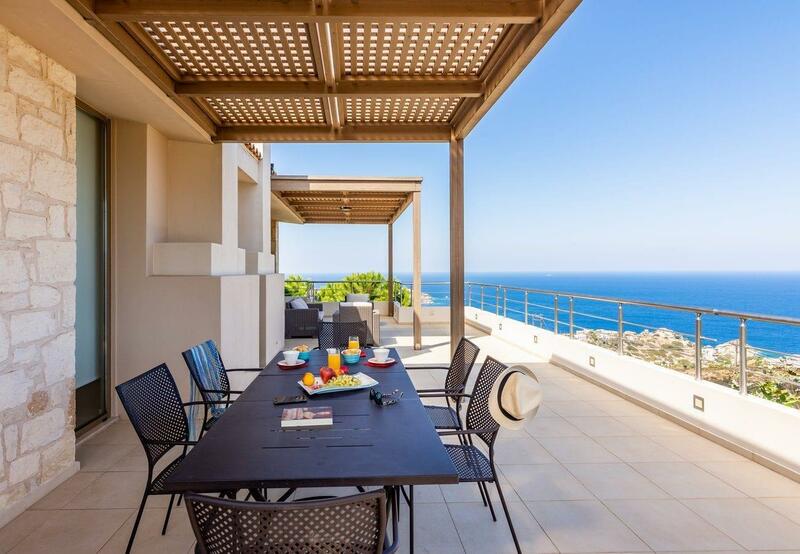 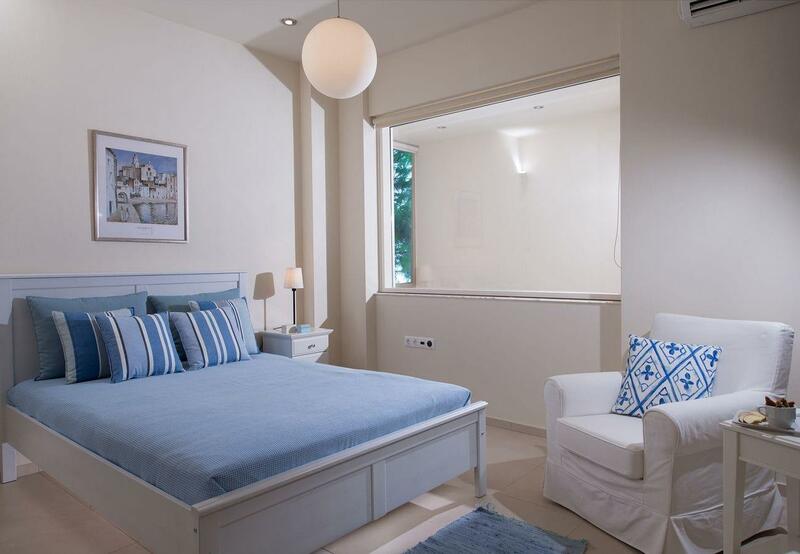 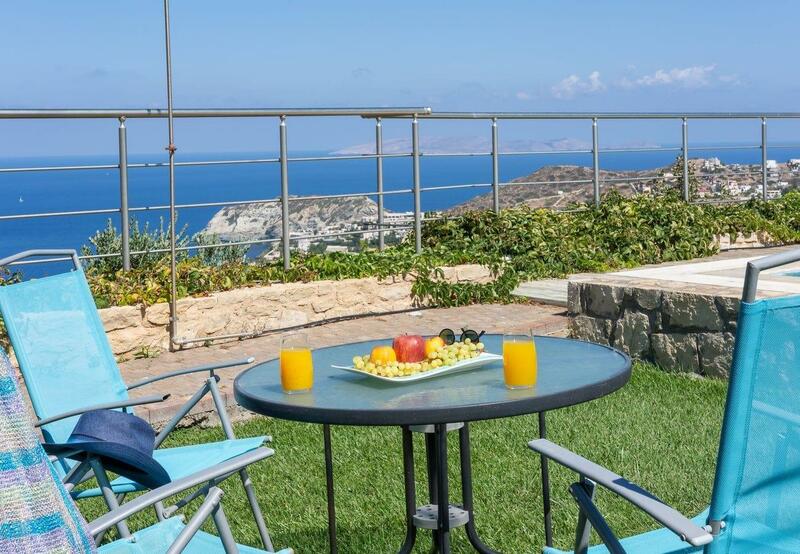 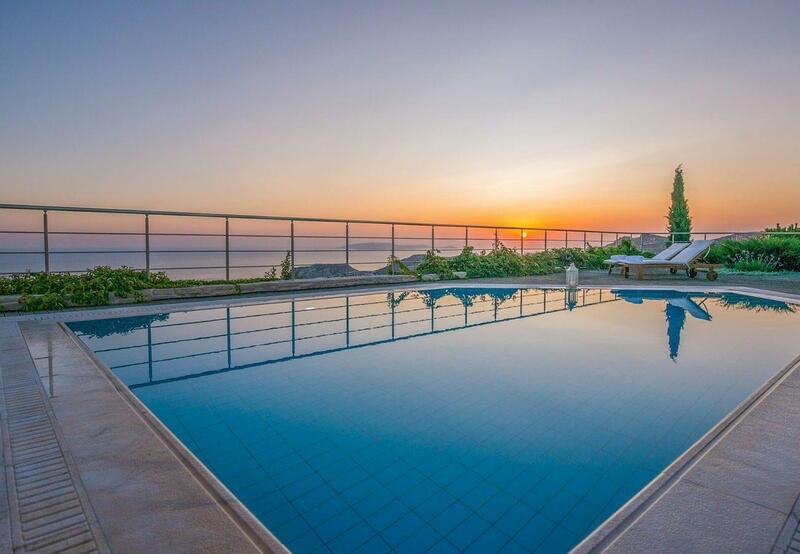 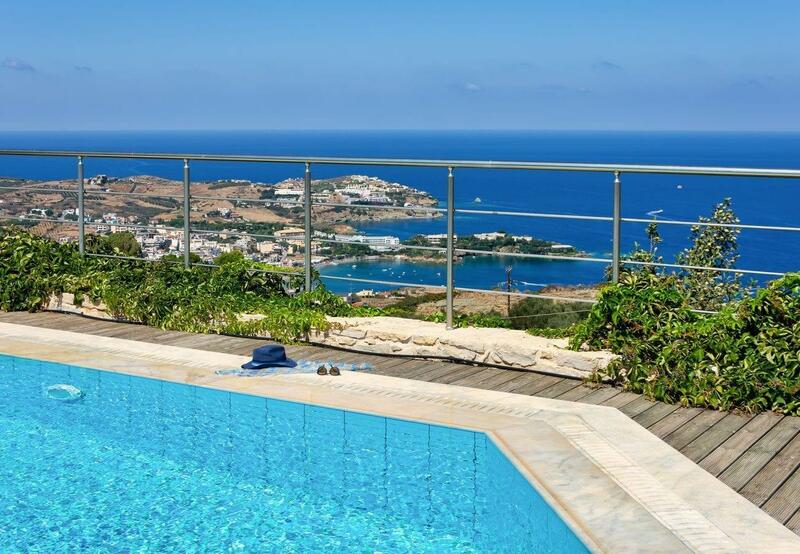 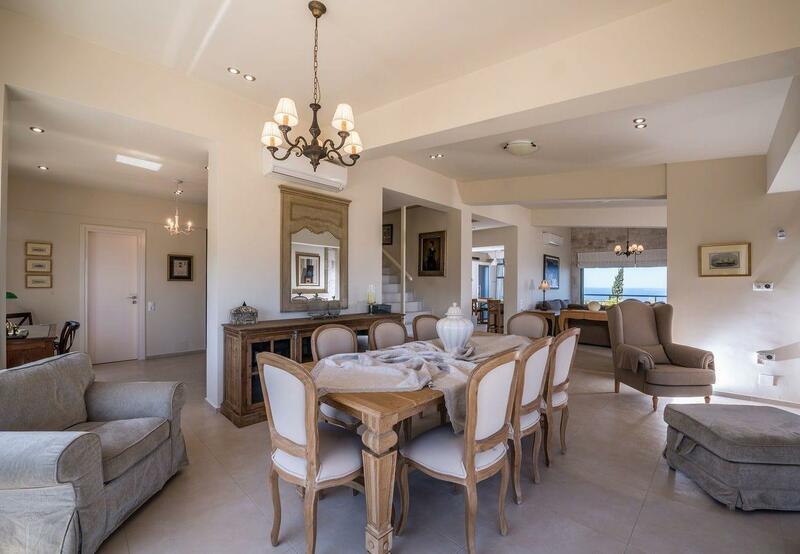 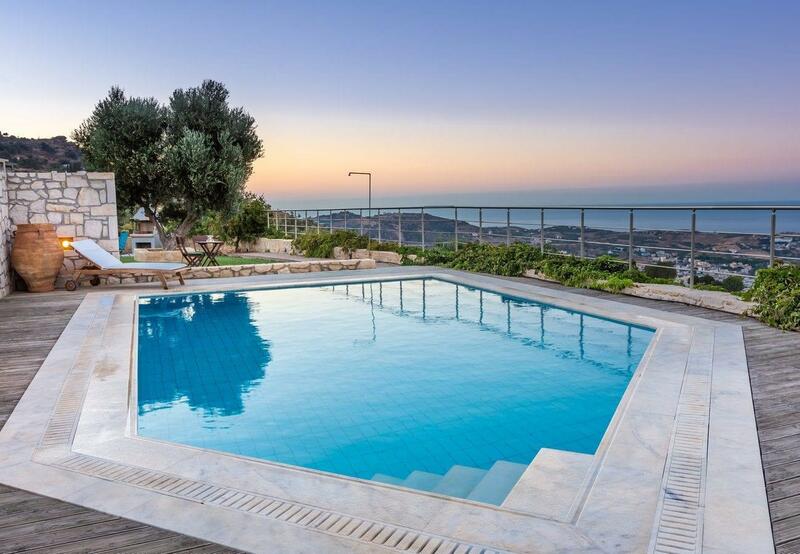 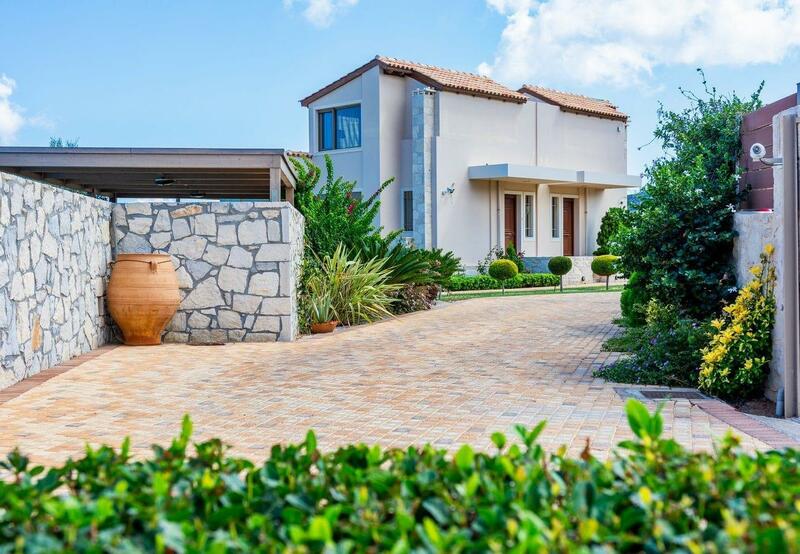 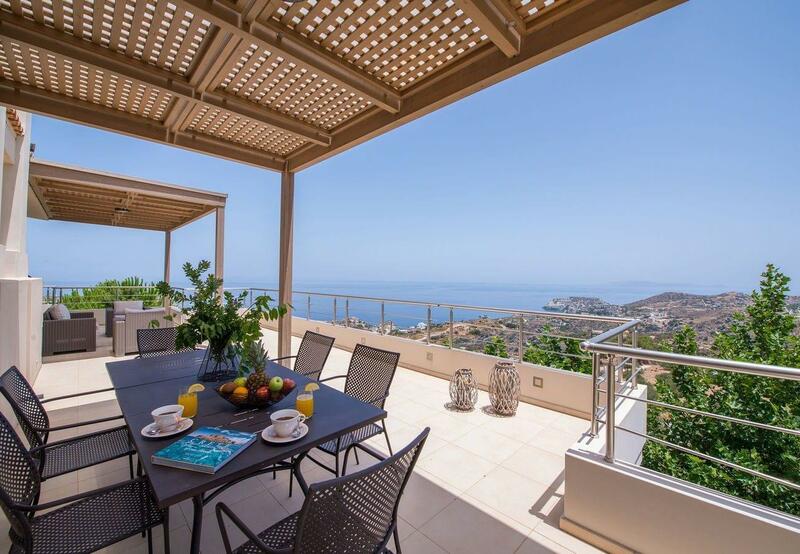 Sea view luxury villa Chara with private pool near Heraklion | Villas in Crete to rent - Holiday villas for rent in Crete. 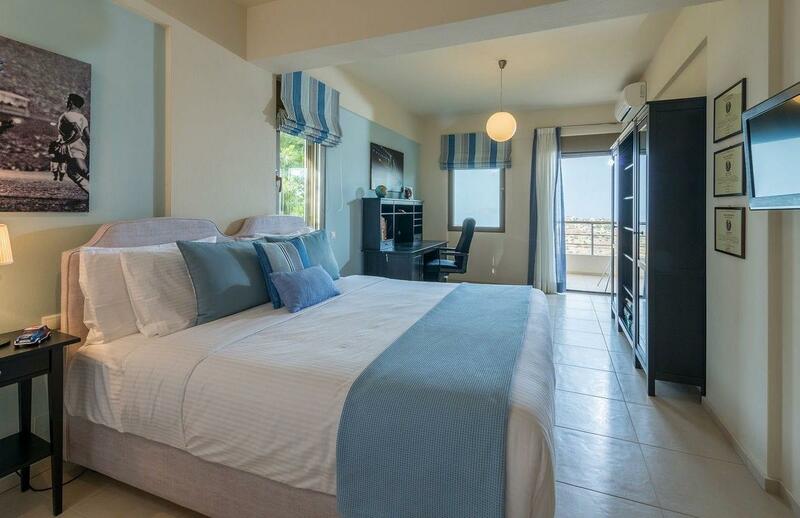 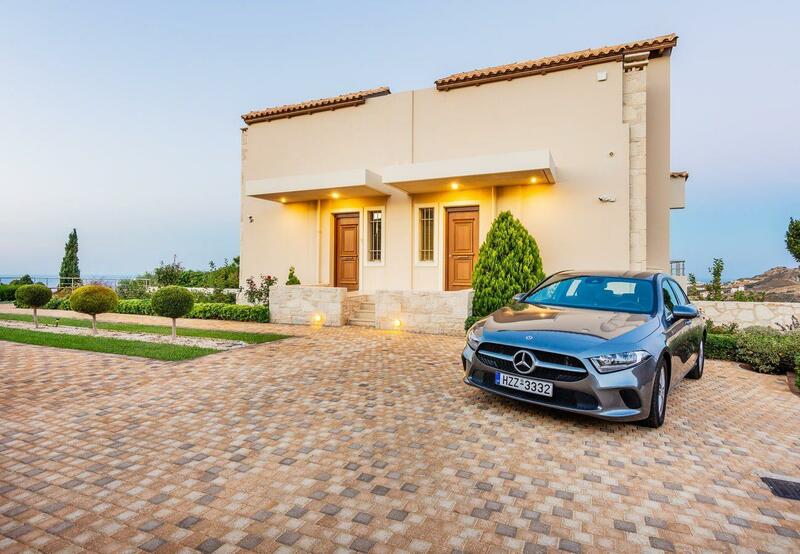 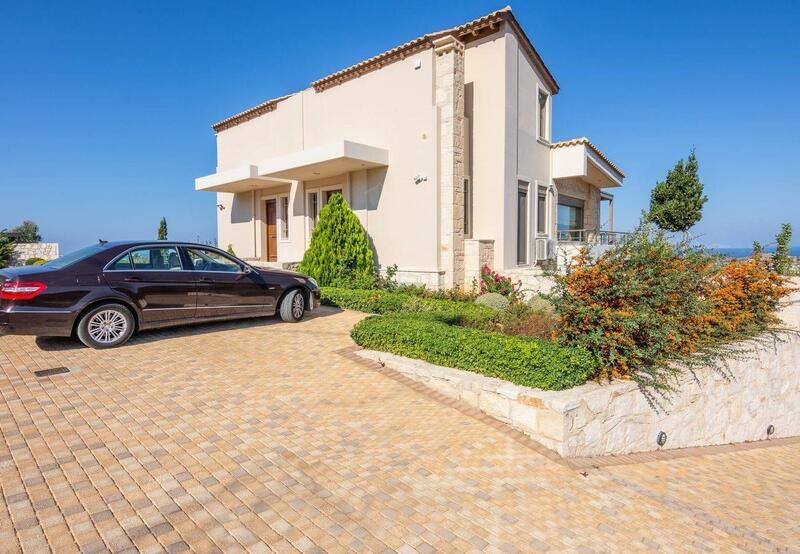 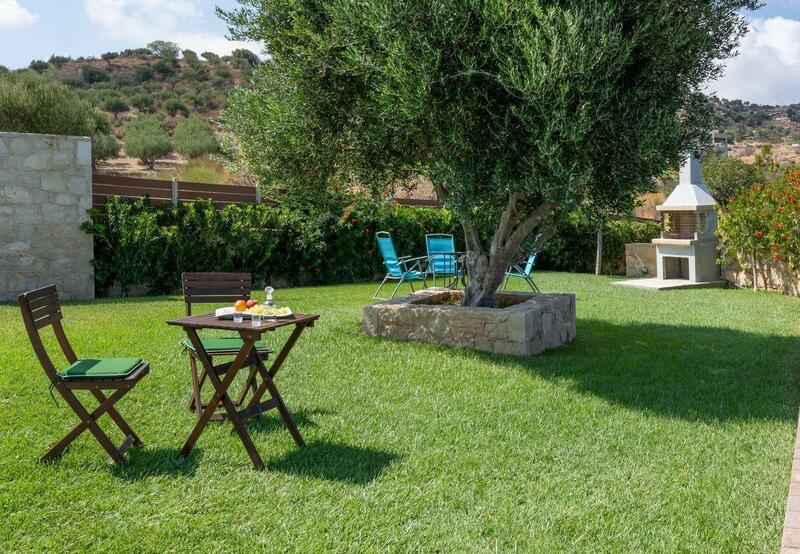 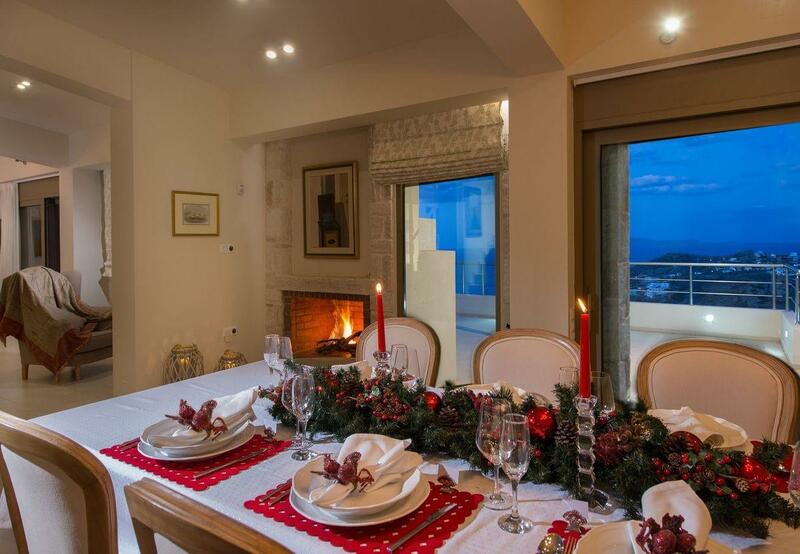 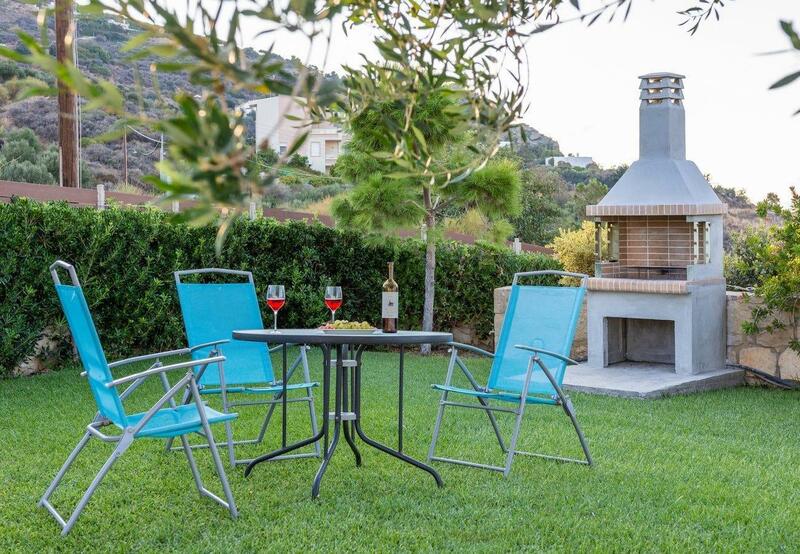 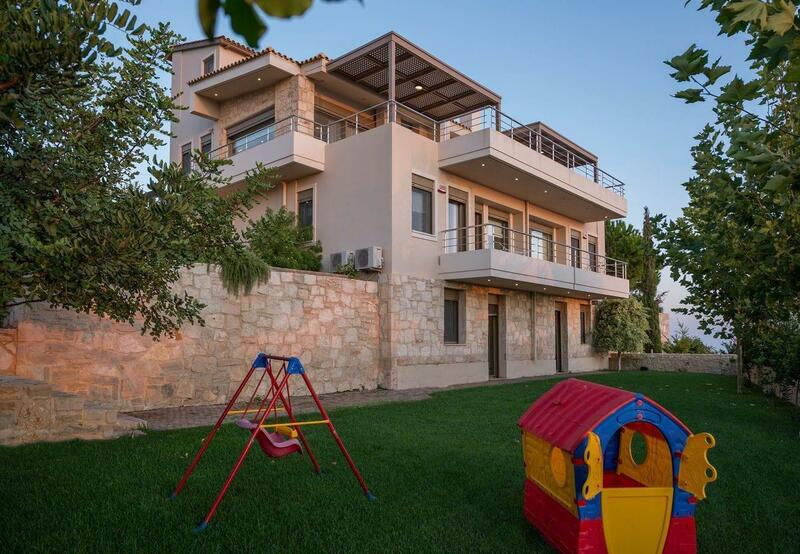 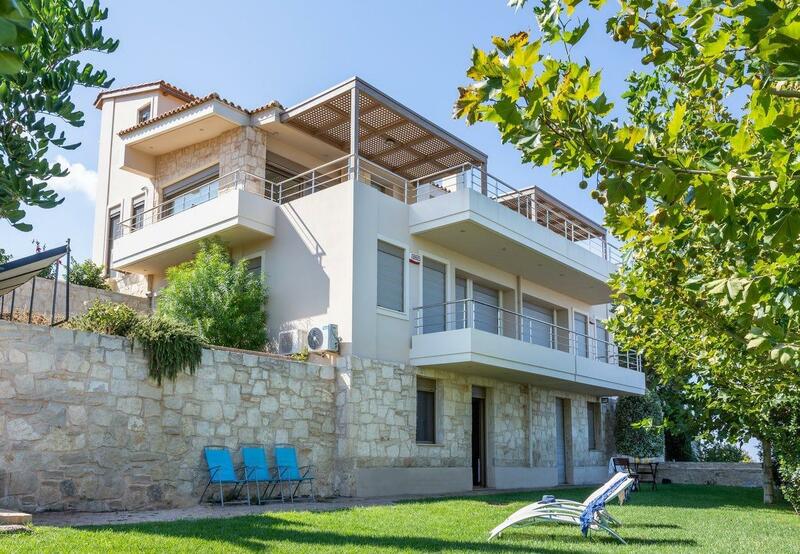 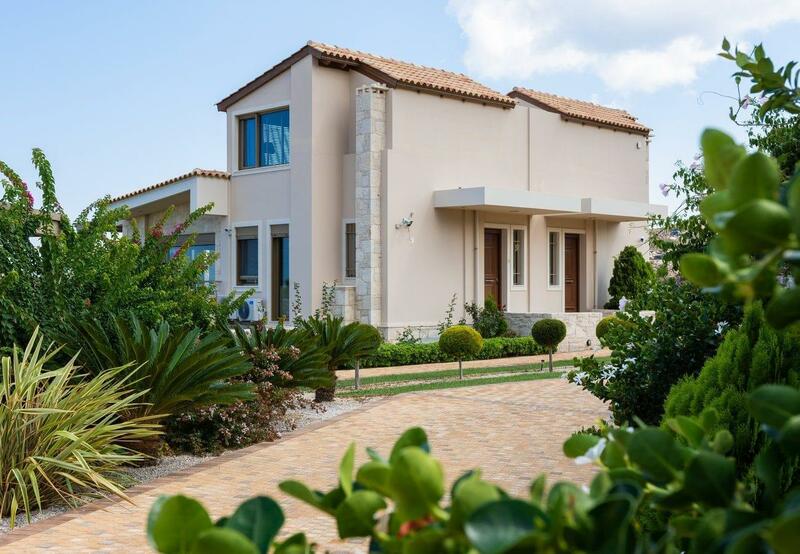 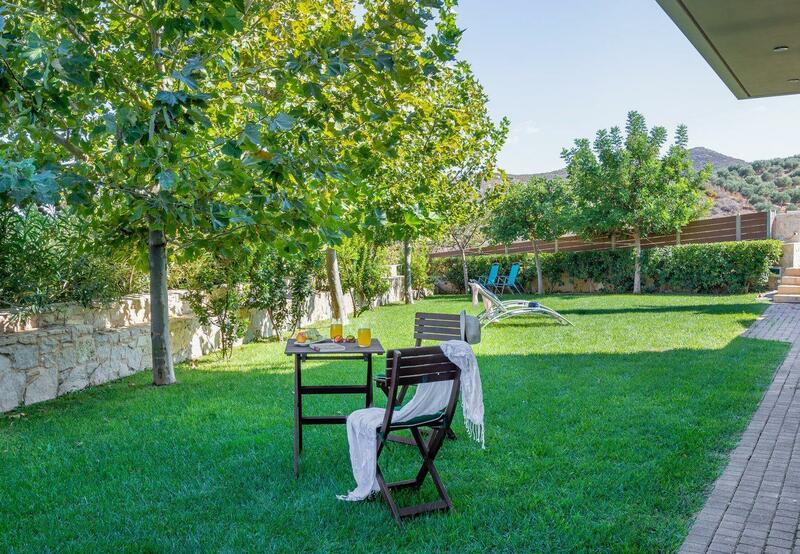 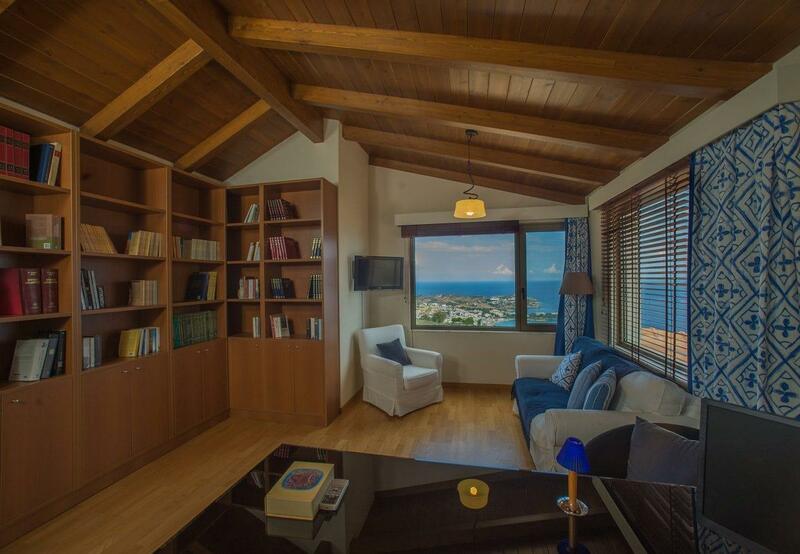 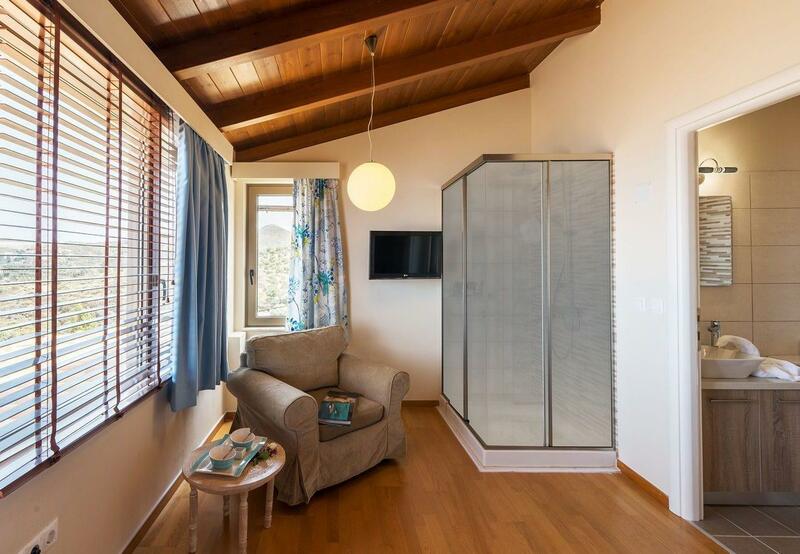 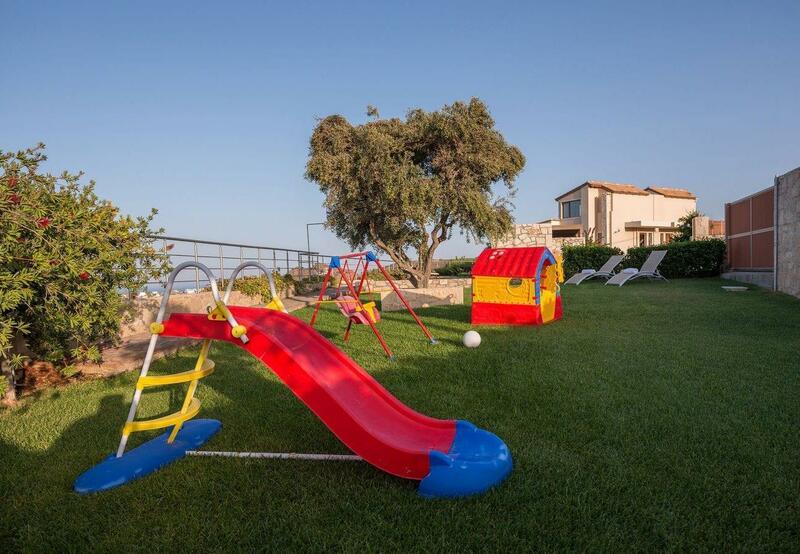 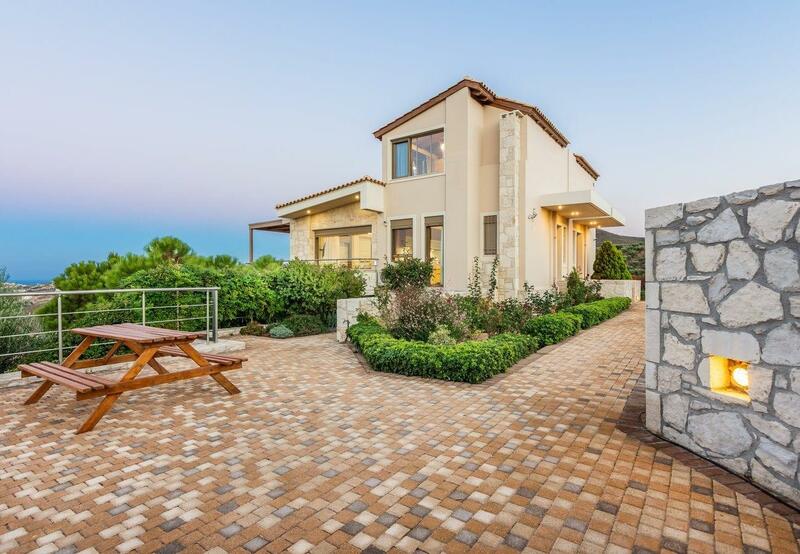 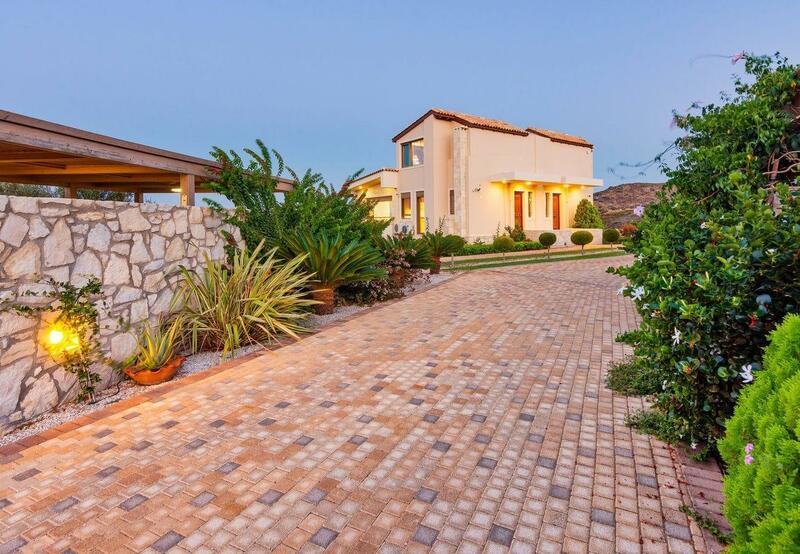 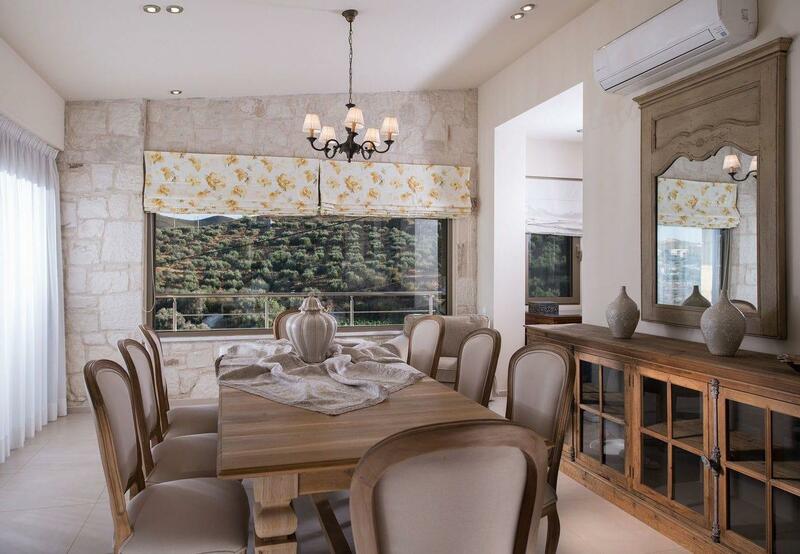 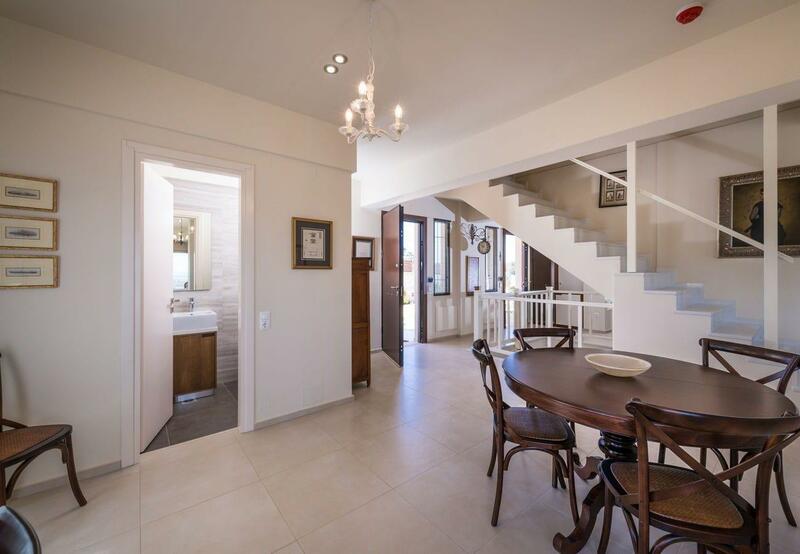 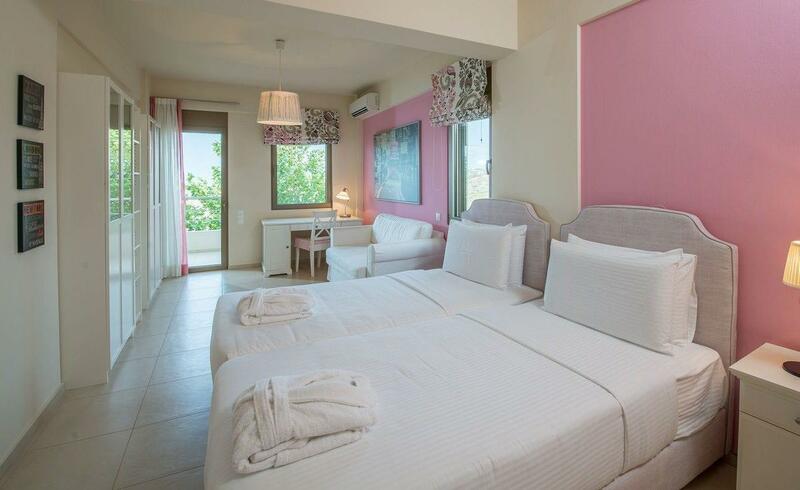 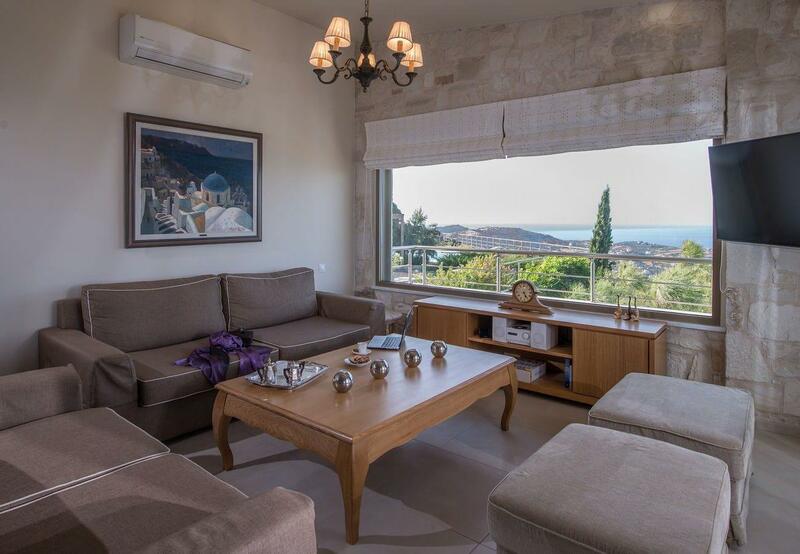 Villa Chara is available for weekly rentals and can host up to 9 adults and 3 children, in 1 master room and 4 bedrooms. 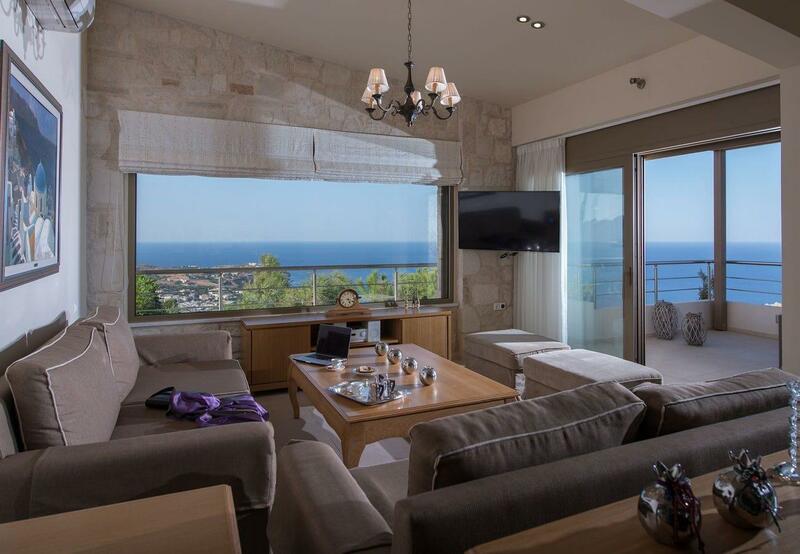 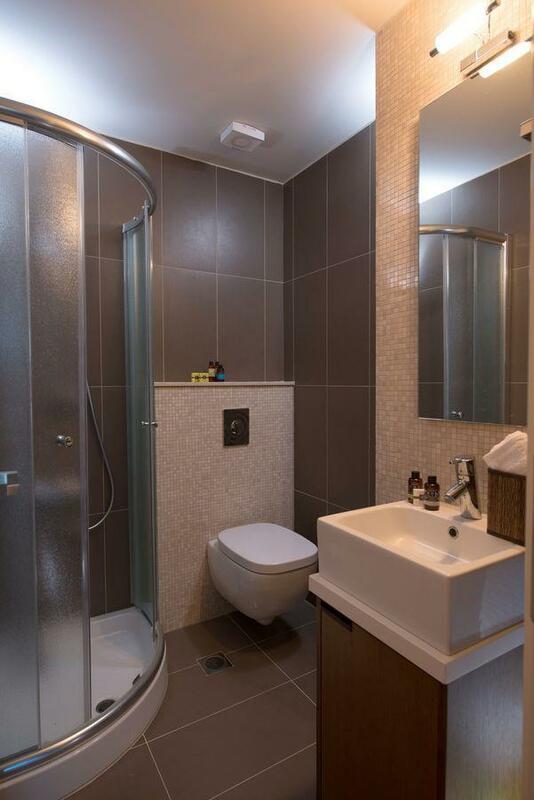 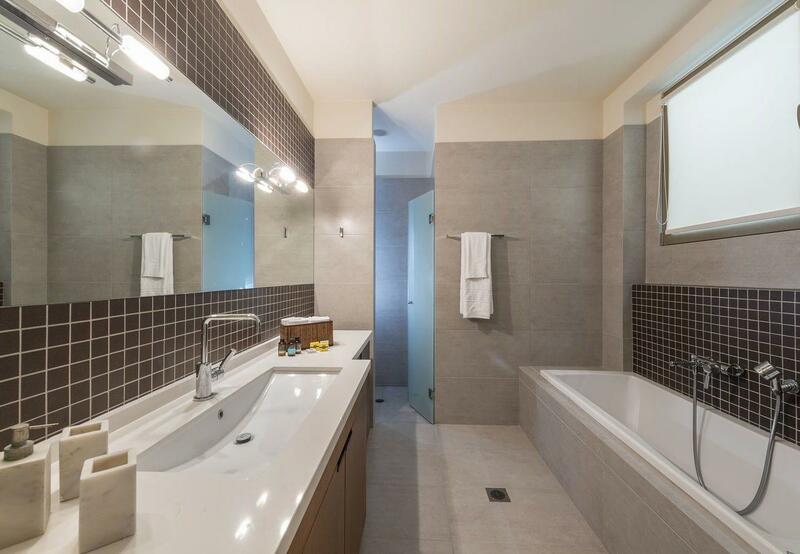 Designed to offer extreme comfort and privacy, the rental includes 24/7 concierge service, free wi-fi, and housekeeping every 3 days. 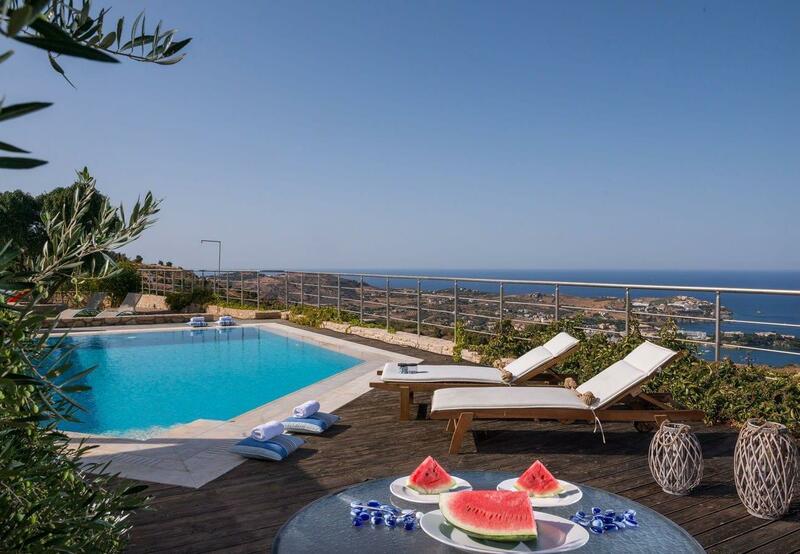 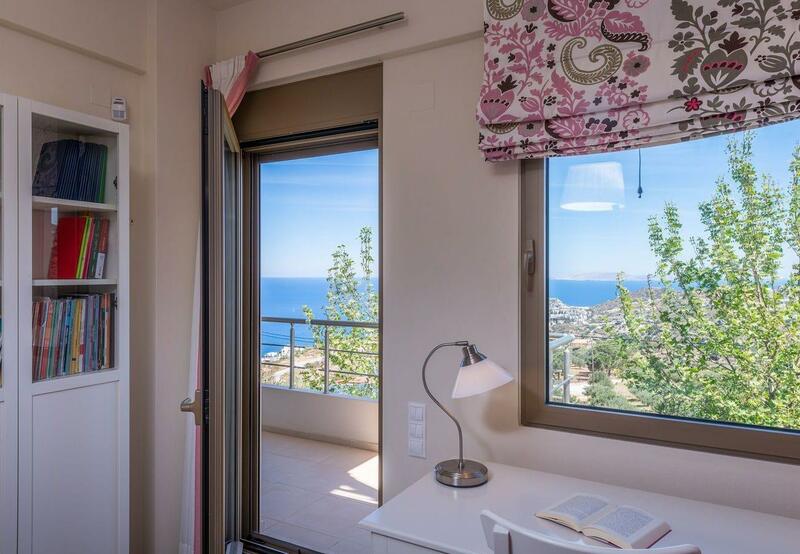 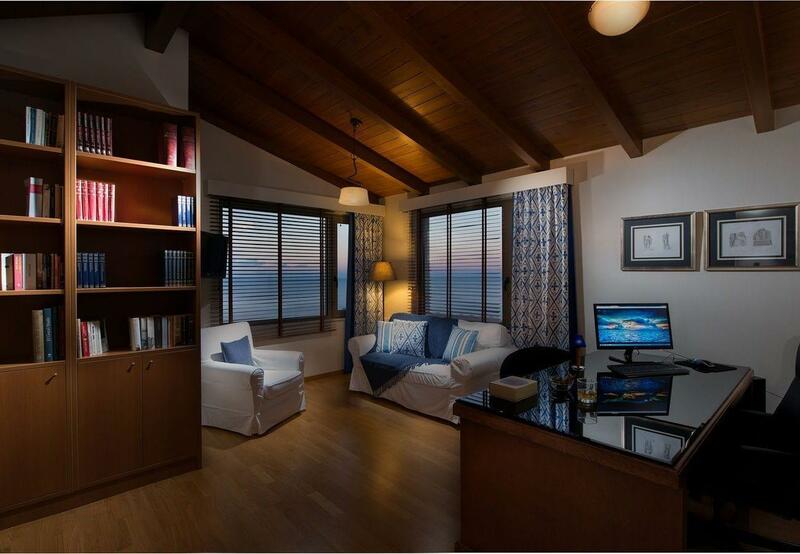 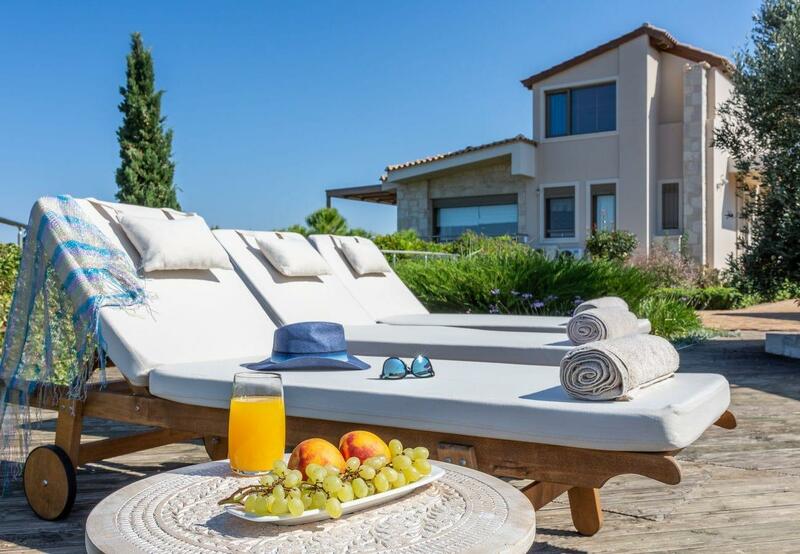 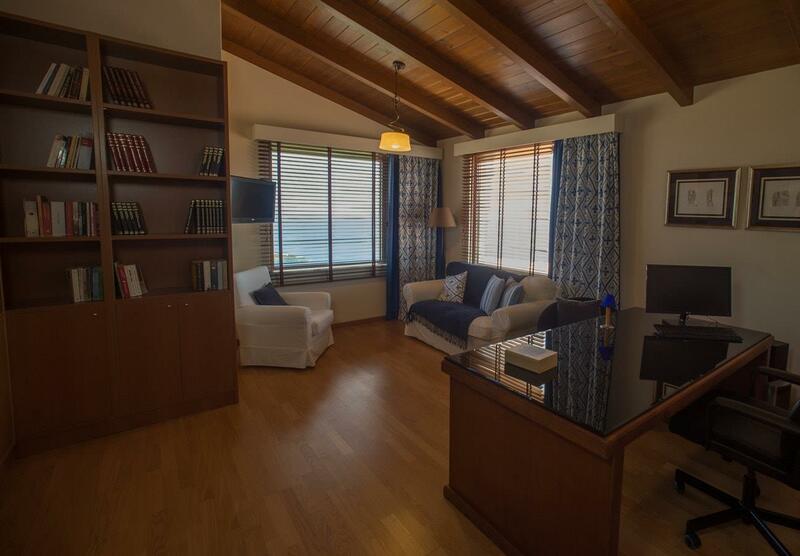 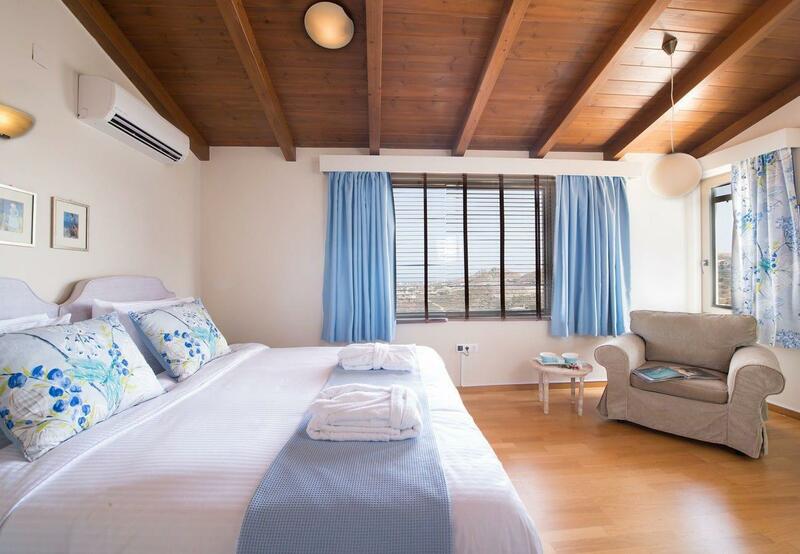 Lay back on a lounge chair on the pool deck that oversees the sea and enjoy the warm Cretan sun. 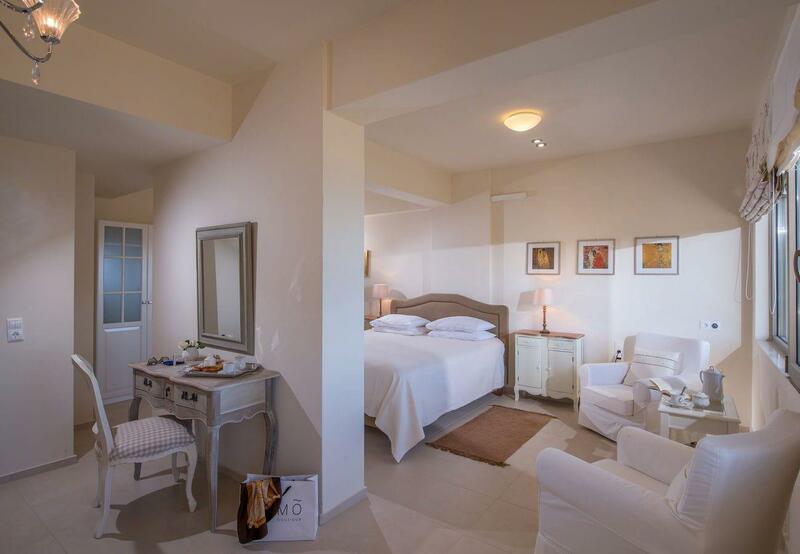 Cancellation: Any cancellation from the time of booking will be debited as a no show fee equivalent to the booking deposit (30%). 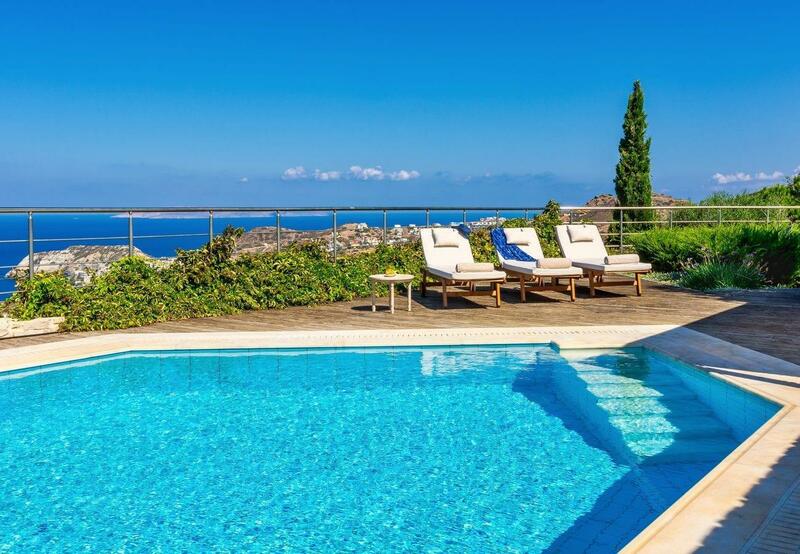 Cancellations that take place 8 weeks before arrival and following that date, will be debited a total no show fee equivalent to the total rental cost.